Claudio Marino can create any kind of faux finish, including: fresco, stenciling, marble finish, Tuscan, leafing (gold, silver, and copper), antiquing and many more classic faux finishes. Claudio also performs custom faux finishes to meet the specific requirements of home owners, including matching the exact pattern, gloss and feel. Columns can be given a distinctive look, with the an amazingly realistic wood faux finish or marble faux finish. The look is amazingly realistic that most people will never know its faux. 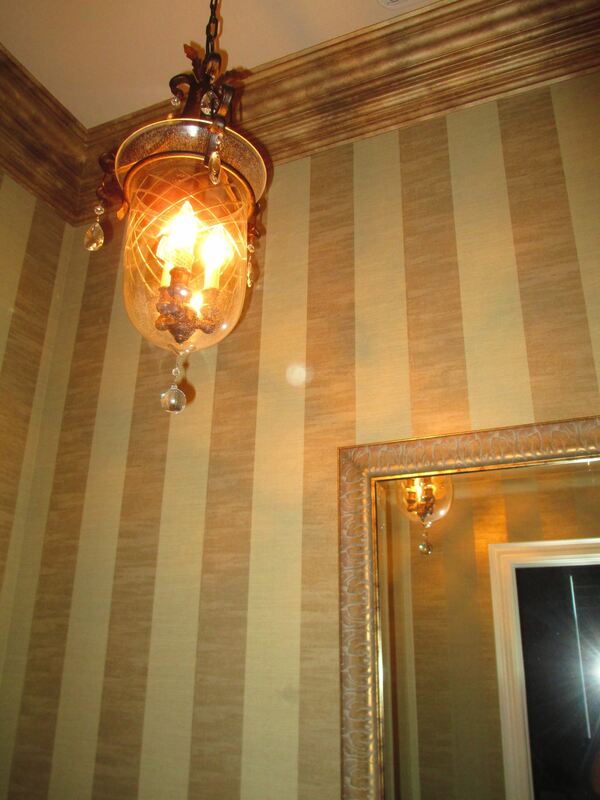 Many discerning clients want the look of wallpaper. Benny’s painting can provide a seamless faux wallpaper pattern to meet your exact requirements. The Pearl Faux Finish is a combination of matt and gloss that shimmers in the light, giving a stunning pearl look. Crown molding can be highlighted with the unique looks of antiquing, gold leafing, and faux wood. All highly realistic faux finish painting techniques are able to fool almost any eye. Antiquing is the process of providing a distinctive aged look. Antiquing faux finish of cabinets, cupboards and metal railings can enhance the character and atmosphere of any home. 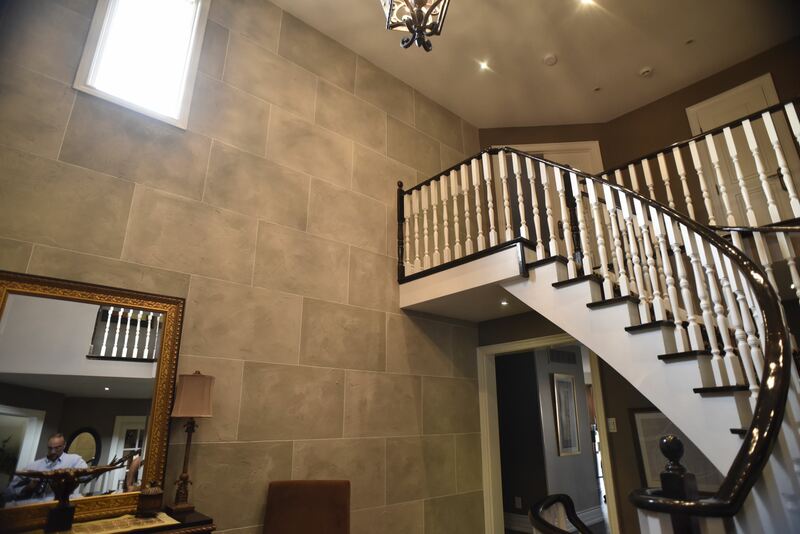 A metallic faux finish provides a modern chic look that provides a classy enhancement to walls, ceilings, fences, and railings. It’s a very high end look. For doors, interior and exterior, vinyl or metal doors can be made to look like wood. The faux wood finish provides the durability of vinyl or metal with the class of wood. Benny’s Painting provides the house painting service for the homeowner with the discerning taste. Contact Benny’s Painting for a free estimate today. Does faux finish painting last as long as normal paint? Faux finish painting normally uses glazing, which contains acrylic. This makes the faux finish a much harder and more durable finish. For any types of faux finishes that will be used in high heat (such as fireplaces), material is used that can handle heat up to 650 degrees Celsius. How does Claudio know that he can mimic something that he hasn’t done before? Claudio has been doing faux finishes and other types of finishes for over 20 years. He has been used by Fireplace manufacturers to recreate the pattern, color, sheen, and texture of damaged fireplaces. Insurance companies also use Claudio to recreate faux finishes to damaged areas. Claudio is confident that he can recreate any faux finish painting requirement with his experience, techniques, and creative artistic talent.